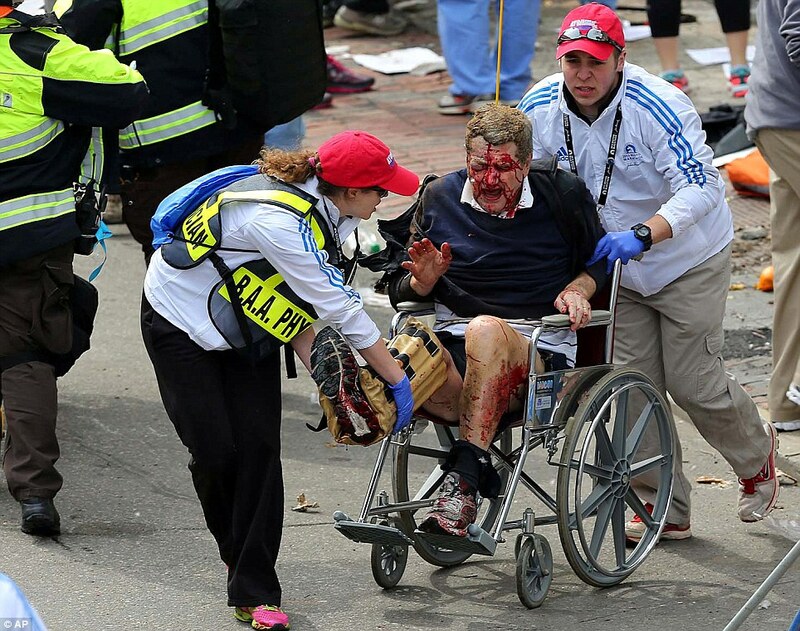 "The Boston Marathon Bombing wounded and maimed 264 people 5 , and ultimately left five dead-including 2 police officers. 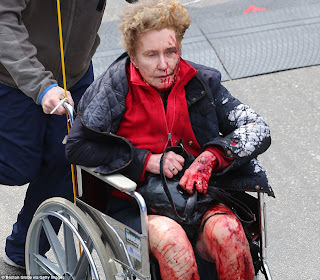 6"
"Russian authorities alerted the US government not once but "multiple’’ times over their concerns about Tamerlan Tsarnaev--including a second time nearly a year after he was first interviewed by FBI agents in Boston--raising new questions about whether the FBI should have focused more attention on the suspected Boston Marathon bomber, according to US senators briefed on the probe Tuesday. 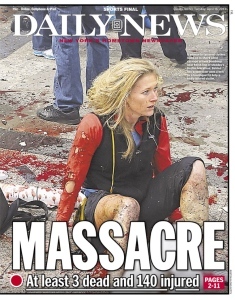 The FBI has previously said it interviewed Tsarnaev in early 2011 after it was initially contacted by the Russians. After that review, the FBI has said, it determined he did not pose a threat. In a closed briefing on Tuesday, members of the Senate Intelligence Committee learned that Russia alerted the United States about Tsarnaev in ``multiple contacts’’—including ``at least once since October 2011,’’ said Richard Burr, a Republican of North Carolina, speaking with reporters afterward. Senators said the briefing also revealed failures among federal agencies to share vital information about Tsarnaev, indicating, they said, that the US government still has not established a strong system to ``connect the dots’’ about would-be terrorists residing in America more than a decade after 9/11. Senator Susan Collins, a Maine Republican and member of the Senate Intelligence Committee, praised law enforcement authorities for quickly producing videos of the suspects and putting a halt to their violent spree Thursday night and Friday. Collins, who was among senators receiving a briefing from Deputy FBI Director Sean M. Joyce and officials from the National Counter-terrorism Center and the Department of Homeland Security, did not elaborate on details of those failures. Members of the House also received a briefing Tuesday and emerged with questions. and may have interacted with militant groups or individuals. Her disclosure that Homeland Security knew of the trip, but not the FBI, raised questions among lawmakers. Others expressed concern about signs that officials did not connect the dots about the potential threat Tsarnaev’s may have posed. “Post-911 we thought we had created a systems that would allow for the free flow of information between agencies,” said Senator Saxby Chambliss, a Republican from Georgia and member of the intelligence panel. “And I think there have been some stone walls...that have been re-created that were probably unintentional.”. Senator Dianne Feinstein, who chairs the Senate Intelligence Committee, cautioned against jumping to any final conclusions. “We had a full discussion back and forth over the process that’s followed and we need to keep at that and we need to see if there are any loopholes in it, that we fix those loopholes,” she said. She characterized the issues as part of an evolving intelligence process. 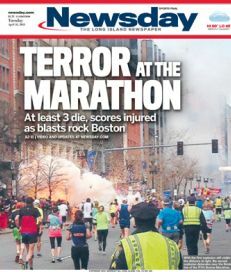 "The Russian government warned U.S. authorities that Boston Marathon bomber Tamerlan Tsarnaev was a violent radical Islamist more than a year and a half before the April 2013 bombing, but authorities missed multiple chances to detain Tsarnaev when he was traveling to and from Dagestan for terror training, according to a soon-to-be released Congressional report. 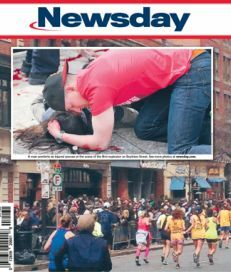 In one instance, according to the report prepared by investigators for the House Homeland Security Committee and copies of documents reviewed by NBC News, Tsarnaev was supposed to be pulled aside for questioning at JFK airport because he was considered potentially armed and dangerous, but he slipped through undetected because someone had misspelled his last name in a security database. 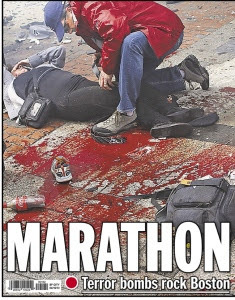 “This sounds like a huge hole and an opportunity missed,” said Ed Davis, who was Boston’s chief of police at the time of the Marathon bombing. NBC News has reviewed a copy of the report and copies of documents referenced in the report and constructed a timeline that shows how Russia warned the U.S. and what the U.S. did, and didn’t do, in response. In March 2011, the FSB, the Russian intelligence agency that arose from the remnants of the KGB, sent a cable to the FBI with its concerns about Tamerlan Tsarnaev and the Tsarnaev family. By then, the Tsarnaevs, a Muslim family of mixed Chechen ancestry, had been living in Massachusetts for almost a decade. Tamerlan, born in 1986, had attended a local high school, married an American and become an amateur boxer. The letter was a page and a quarter long and very detailed. It included contact information, with addresses and phone numbers, for many of the members of the Tsarnaev family, including Tamerlan and his mother. It warned that Tamerlan was known to have associated with violent radical Islamists, including a Canadian Muslim convert named William Plotnikov who was later killed while fighting for the mujahideen in Dagestan. The FBI responded to the FSB cable by opening an investigation of Tamerlan Tsarnaev in March 2011. 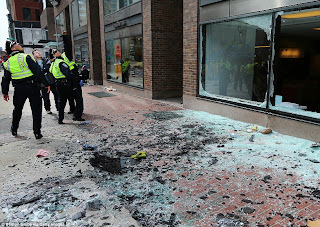 The investigation was conducted by members of the Boston Joint Terrorism Task Force, an interagency group that includes federal, state and local law enforcement representatives. An FBI member of the JTTF interviewed Tsarnaev in person. The FBI did not conduct surveillance of Tsarnaev because the case did not rise to the standard that permits surveillance, according to federal officials. A member of the task force then entered a memo about Tsarnaev into a Customs and Border Protection database called TECS. The database would automatically trigger an alert on a so-called “Hot List” any time Tsarnaev left or reentered the United States. Authorities linked the deaths to drug dealing, and noted that they had nearly been decapitated. Investigators say all three victims were Jewish. 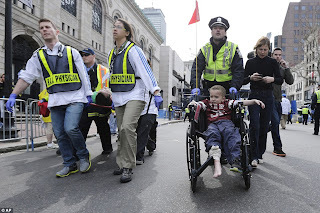 Nearly two years later, after the Boston Marathon bombings, authorities interviewed an associate of Tsarnaev’s named Ibragim Todashev about the Waltham murders. The FBI shot and killed Todashev during the interview when he allegedly attacked an agent. The FBI, which has been cleared of wrongdoing by state authorities and an internal review, says Todashev was about to sign a statement implicating both himself and Tsarnaev in the murders when he was killed. 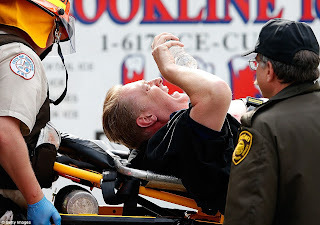 In the immediate aftermath of the (2011) Waltham murders, however, authorities made no arrests. Tsarnaev was not questioned. In late September, six months after it had sent its first cable to the FBI, the FSB sent a second cable to the CIA, according to a U.S. intelligence official. The Russians’ second cable restated the warnings of the first memo, and was very similar in language and content. There is no indication that the FBI reopened their file or conducted further investigative efforts after the CIA received its version of the FSB cable. 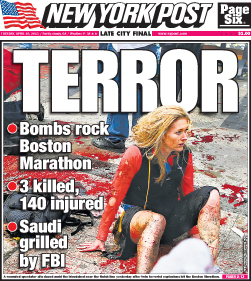 On Oct. 19, 2011, the CIA shared information on Tsarnaev with the National Counterterrorism Center (NCTC), DHS, the State Department and the FBI. The information shared included two possible dates of birth, his name and a possible alternate spelling of his name. The CIA nominated Tsarnaev for inclusion in the terror watchlisting system. The NCTC then added Tsarnaev’s name to the Terrorist Identities Datamart Environment (TIDE) database, a central U.S. government terror database that includes hundreds of thousands of names. TIDE is not itself a watchlist, but is used as a source for watchlists like TECS. A second note about Tamerlan Tsarnaev was entered into the TECS system on October 20, 2011, according to sources familiar with the investigation conducted for the Congressional report. The second TECS entry, which NBC News has seen, spells Tsarnaev’s name as “Tsarnayev,” with an extra y, and warns that he might be armed and dangerous. On January 21, 2012 Tsarnaev traveled to JFK airport in New York to board an Aeroflot flight to Moscow. Though an alert was triggered, Tsarnaev was not pulled out for a secondary search or interview. According to sources familiar with the report, there were almost 100 other names on the “Hot List” of individuals traveling through Customs at JFK that day, and Tsarnaev was not considered high priority. Tsarnaev flew to Moscow, and then to Dagestan, where he stayed for six months and received jihad training, according to U.S. authorities. On July 17, 2012, Tsarnaev flew back to the United States, landing at JFK. TECS notes remain in effect for one year. The initial TECS note had expired. The second, more urgent TECS note filed in October 2011 that said he might be armed and dangerous had not. But no alert was triggered when Tsarnaev passed through Customs at JFK, because of the misspelling of his name on the second TECS note. The difference of one letter – Tsarnayev instead of Tsarnaev – meant that he was not detained or questioned despite the warning in his file, according to sources familiar with the report. 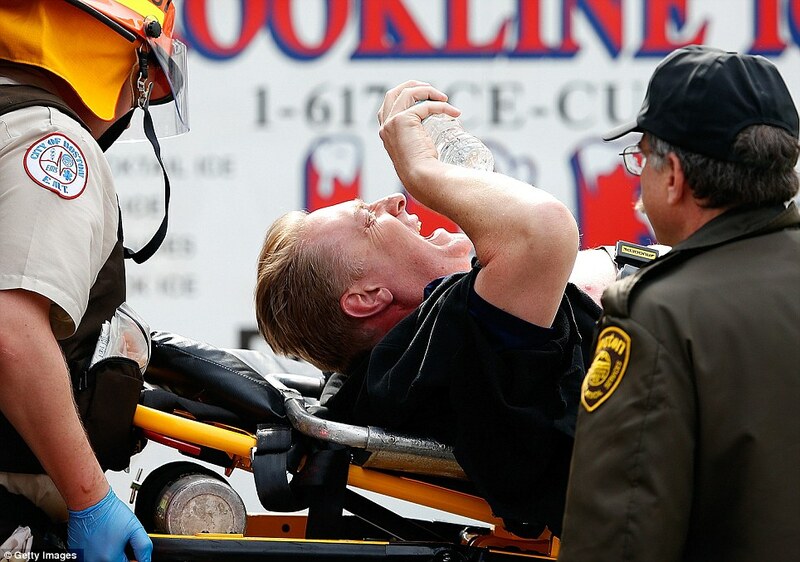 On April 15, 2013, bombs killed three people during the Boston Marathon. Tamerlan was killed during a shootout with police on April 19 in Watertown, Mass., and his brother Dzhokhar was discovered hiding in a boat nearby later the same day. Dzhokhar now faces federal terrorism charges in connection with the bombing that carry a possible death sentence. He has pleaded not guilty. The House Homeland Security Committee, which is chaired by Rep. Michael McCaul (R.-Texas), is expected to make its report public as early as Thursday. The report re-examines numerous facts that surfaced immediately after the bombing and in subsequent months. It compiles the material and puts it in perspective before making recommendations for changes to procedures. The report is not without controversy – several Democratic members of the committee did not sign on to the report. A congressional staffer told NBC News that “the report is not blaming the FBI.” The staffer said the report is “looking at processes and filling holes.”"